When I became a Christian in 1995, the churches that I’ve been a member of, our pastors encouraged us to bless Israel, based on the Genesis 12 verse. 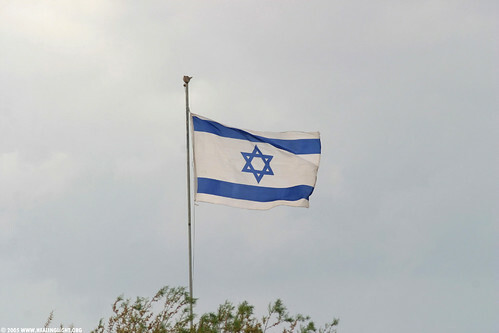 The blessing by praying for Israel turned into rooting for Israel almost in all things. As a soccer fan, I would root for Israel every time they have an international match. I was already an admirer of the Jews even prior to my conversion in 1995. How they defeated the five more advanced Arab nations in just seven days in 1967 cant be overlooked. My support then was generally passive. I would occasionally pray for Israel. I also thought of visiting Israel one day, maybe for a few days or weeks. Just to see the areas which are mentioned in the Bible. About two years ago, a friend of mine on Facebook posted photos and articles about Israel. I “liked” those pages as well so that I could get updates about this tiny but great nation. My love for Israel has grown since then, I maybe someone you can call an Israel apologist. I would get into debates and defend Israel every time haters would spew lies and biases. The simple dream of “visiting Israel” for a few days is now to “migate to Israel” and to live there until my death or the second coming of the Lord Jesus Christ. My stance in the past was I would forever be a proud Filipino. I would even criticize other Filipinos who would migrate to other countries such as United States or in European countries. I would take that stance now. Maybe I would still keep my Filipino citizenship, I still love the Philippine and forever will. READ It's Not Time to Party! The most viable option probably would be to apply for a job or bravely go to the Israeli embassy in Manila and inquire.